Ernesto Iaccarino recreates Mount Vesuvius in this showstopping pasta recipe. The chef builds the slopes of the volcano with rigatoni pasta and fills it with a molten core of meatballs, ricotta and mozzarella. 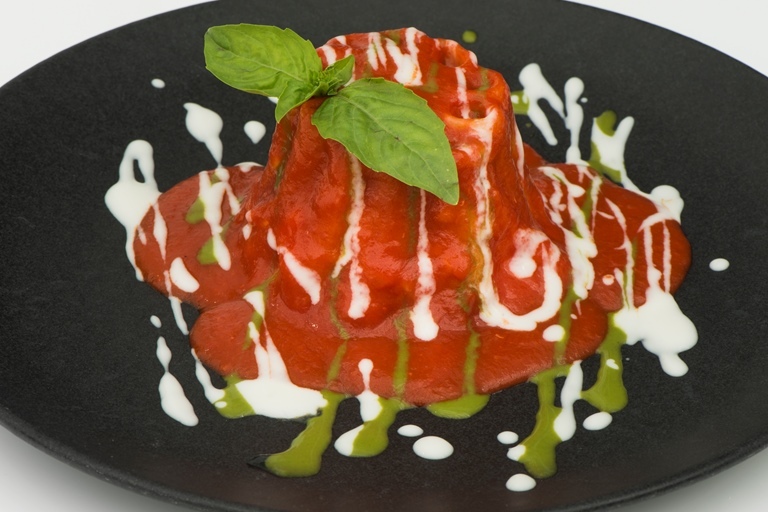 The dish is smothered in a Neapolitan ragù 'lava' splashed liberally with mozzarella and basil sauces for an explosive main course.